Hello, my name is Liz. I am twenty-three and I live in the salty city (Salt Lake City, UT). I love even numbers and I am a recovering perfectionist. I am passionate :: lover of travel, anything outdoors (skiing, hiking, anyone? ), running, books (anything from Jane Austen to Amartya Sen), food, history (particularly WWII), and photography/videography. And of course, adventure. My husband, Braden, is one of the best chefs you will ever meet. He has the most beautiful blue eyes. And he is all mine forever. Read more about our love story here. Life is a crazy, beautiful adventure. 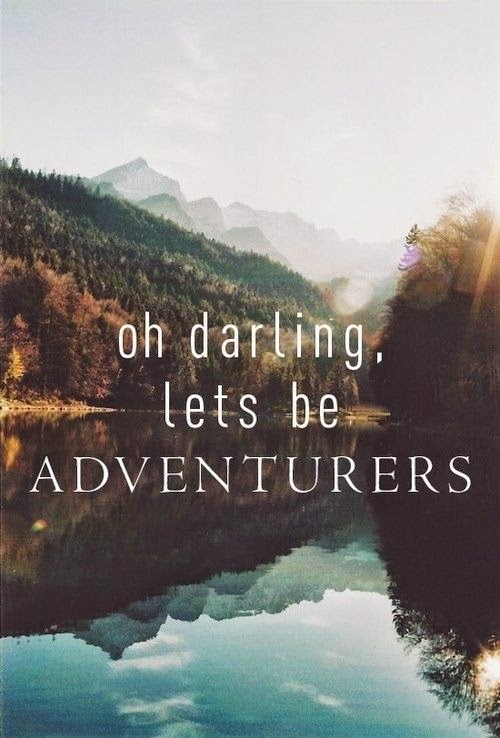 Adventure :: an exciting or unusual experience. Adventure can be anything from trying a new food, meeting someone new, or driving a new route home from work to a life-threatening outdoor experience or traveling to a new country. To me, adventure is all of the above. I learned really quickly that an adventure is nothing without "you" - the ones you love most. I have found that my favorite adventures are with my family, my husband, and best friends. This blog is all about documenting those adventures with you. It will include everything from healthy living and food to travel to thoughts on life and love. My goal is to share the beauties of life and inspire the adventurers in all of us. I want to be real, authentic, genuine. I will share the good and the bad adventures. The fun and the not-so-fun. My life is not perfect but it is all so beautiful. And I want to be your friend (I love new friends!). Join me on this beautiful adventure called life. I have always been adventurous. I am always looking to take risks and push the limits against the norm. From that one time I crossed a swamp of sinking sand with my baby sister when we were youngins, to jumping off our deck with capes in order to "fly" to driving a tractor to traveling alone to a safehouse in Nepal. Or that one time I was unexpectedly caught living in Mali during the Coup d'Etat, unable to leave the country while borders were closed for two weeks? (Story for another day.) That was an incredible experience and special time for self-reflection. My life has been a storm of crazy, beautiful adventures and I want to share them all with you.